If you use home heating oil, Kerosene, you may think that ordering it is something to look at during the winter months, when the weather is a lot colder. Given the warmer weather in the summertime, it may seem odd to consider ordering any heating oil during the summer months. Heating oil may be the last thing on your mind whilst the sun is shining and the temperature is rising. However, research carried out last year by Which? found buying heating oil in the summer can make it traditionally cheaper since there is less demand and prices typically tend to be lower. Prices could be affected by location, weather, political unrest and also production levels around the world. If you leave your tanks running low and then use emergency oil deliveries as the winter approaches, you will most likely be paying a premium. Buying ahead in the summer months may mean you can avoid any potential issues caused by any bad weather spells. Icy roads and heavy snow downfalls could hamper heating oil deliveries, causing delays and disruptions. 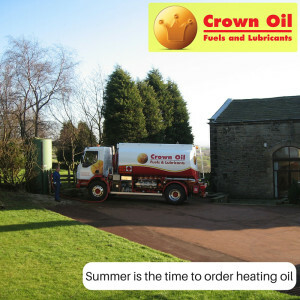 Conditions of the roads during the summer are likely to be free of such weather problems so it is good to take advantage and order heating oil whilst the weather conditions are known to be more reliable. As well as not leaving it too late to place an order for the winter, we recommend buying in bulk, since the bigger the order, the lower the cost per litre will be. On average, people tend to order fuel around 2-3 times a year although this depends on the size of the tank and the amount of energy being used. Stocking up on fuel early, as the Autumn starts will hopefully lead to lower prices and shorter delivery periods. 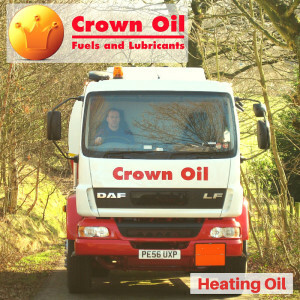 Here at Crown Oil, you can order home heating oil all year round at competitive prices. Our highly trained fuels team can provide you with a competitive quote and offer advice on how to store heating oil or how to maintain and protect your heating oil tank. We offer a range of environmental fuel services and a complete range of tanks and containers to suit your needs. If you have any more questions about our heating oil, or you would like to request a quote. Call our friendly and knowledgeable team today on 0845 313 0845.